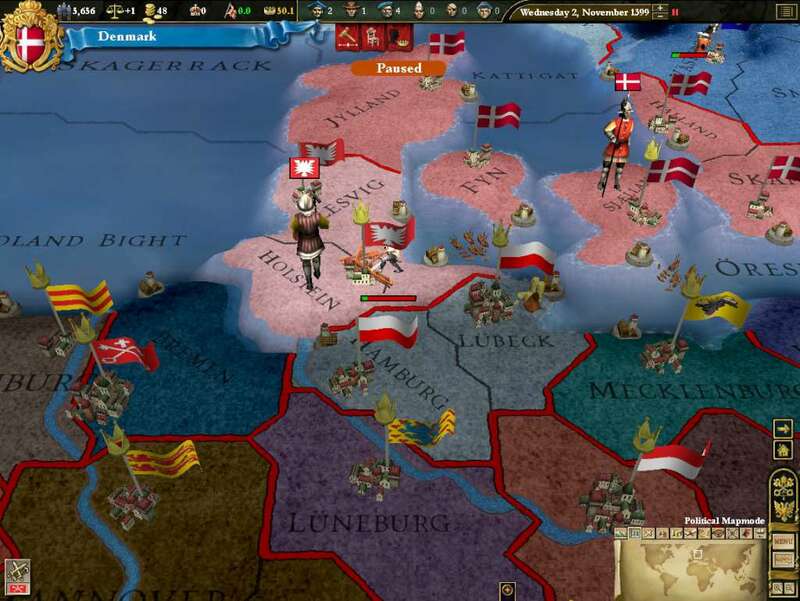 Requiere el juego base Europa Universalis III and Heir to the Throne Expansion en Steam para poder jugar. 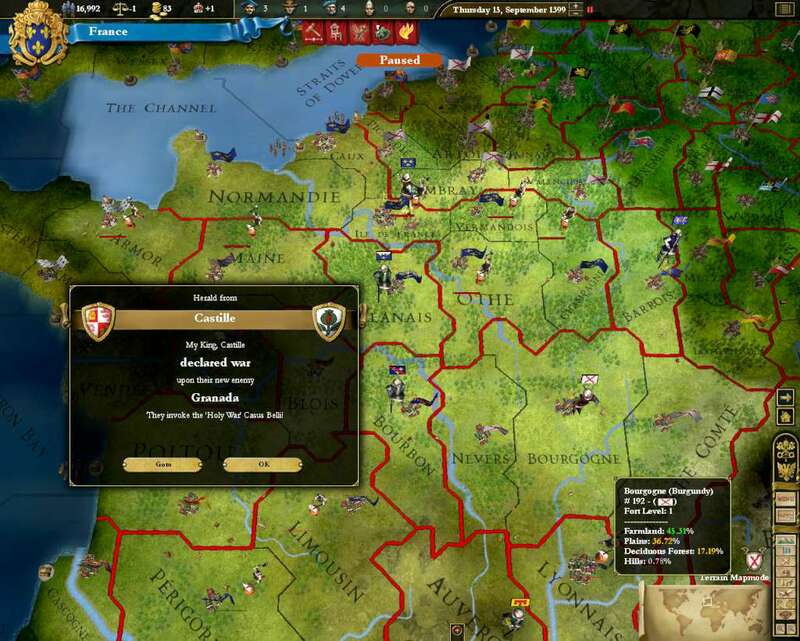 New graphical style, with detailed and beautiful maps, including lots of new provinces. 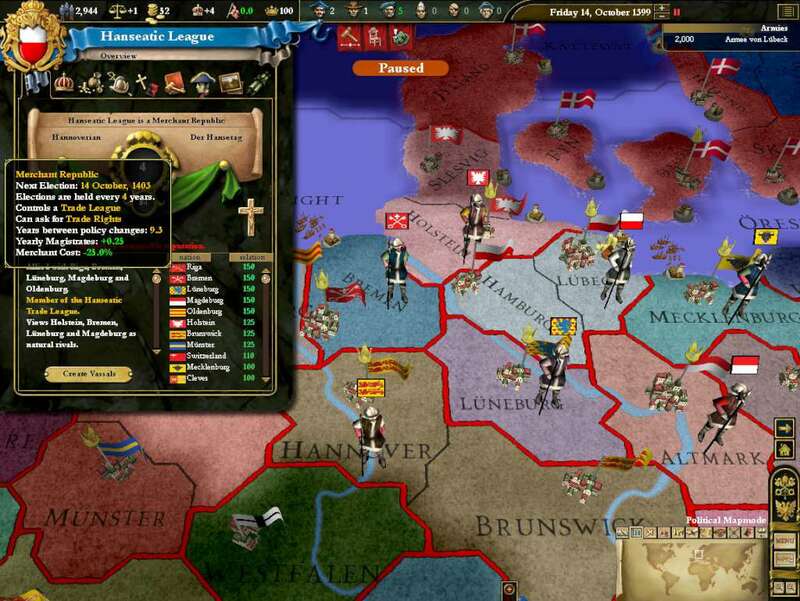 Play as any of the four major daimyo’s in Japan and vie for influence over the Emperor and control over the Shogunate. 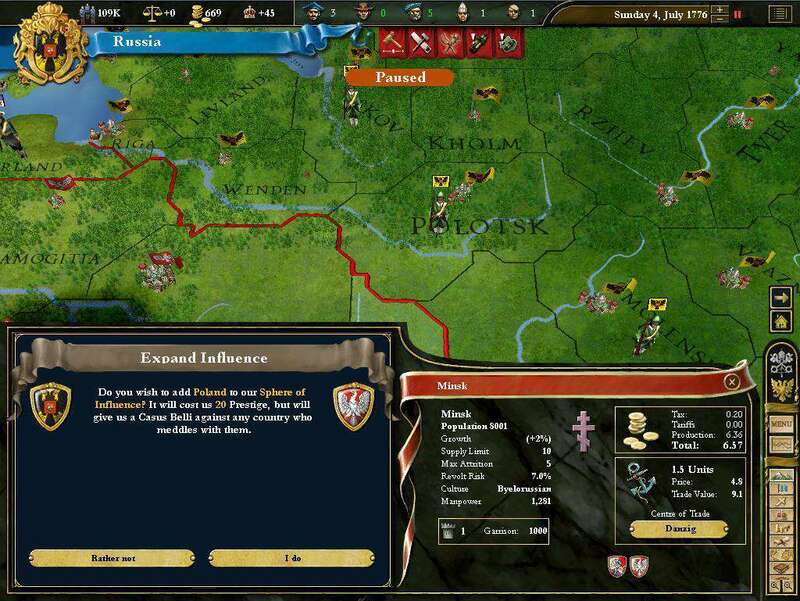 Enhanced diplomacy, with more options for alliances and peace negotiation. 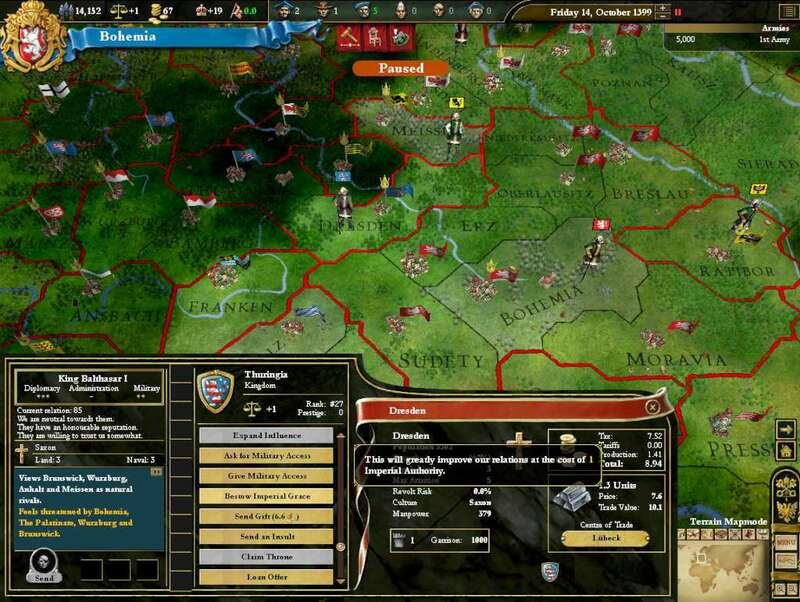 Dozens of new types of buildings, where you have greater control over the development of your provinces. 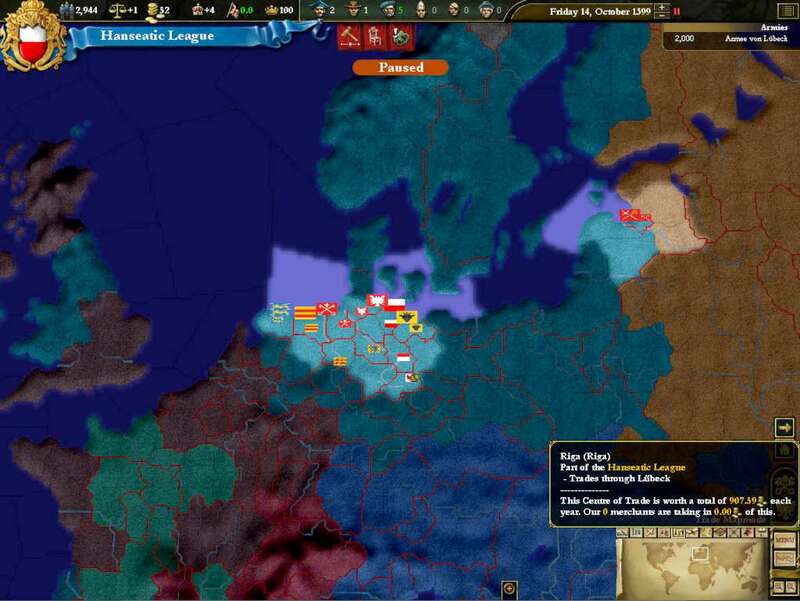 More realistic development of trade, with control over strategic resources giving bonuses. Manage the internal factions in China to keep the Mandate of Heaven. Over 50 Achievements for players to unlock.